Don’t Forget to pick up your 0.99 copy! The offer is nearly done! If you haven’t read The Goddess and the Guardians romantic fantasy series yet, now’s your chance to grab a copy at sale price. 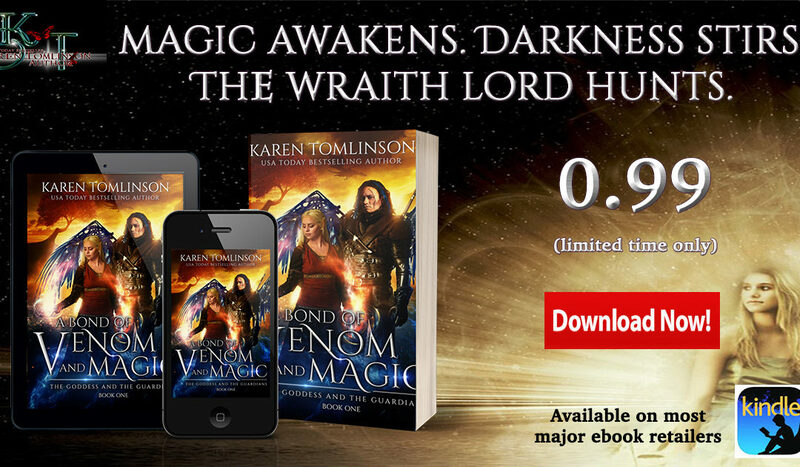 A Bond of Venom and Magic is 0.99 until the 16th Feb only so don’t miss out! Magic awakens. Darkness stirs. The Wraith Lord hunts. The war raging in the South seems a remote danger for seventeen-year-old Diamond Gillon until her home is brutally attacked. Catapulted into a terrifying new existence where legendary beasts arise, magic is condemned, and half-blood fae like her have no rights, Diamond is inexplicably drawn to Commander Hugo Casimir. But he is a ruthless elite guard owned by a cruel, immortal fae queen who murders her own people for magic. A prisoner in Hugo’s world, Diamond’s circumstances become ever more perilous; for the Queen covets more than just magic. Diamond must escape—before her fate, and that of The Eight Kingdoms, is sealed in shadow and chaos. When her life hangs in the balance, will Hugo prove to be her friend and ally, or an enemy unworthy of her trust? 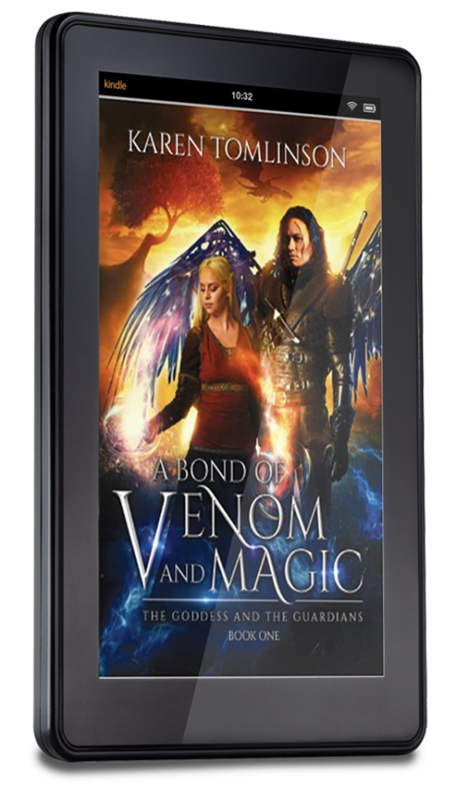 A Bond of Venom and Magic is the first installment in this breathtaking fantasy series. Perfect for fans of Sarah J Maas and Holly Black. Hold onto your heart, dive in and be swept away in this spectacular epic adventure. Stay up to date with all Karen's writing news, FREE content, giveaways and regular newsletter! You won't receive any spam and you can opt out of receiving future emails at any time.